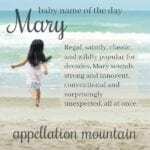 Is it a modern nature name extraordinaire or a name honoring Mary? 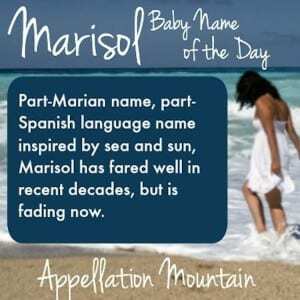 Thanks to Kathleen for suggesting Marisol as our Baby Name of the Day. Soledad is the Spanish word for solitude, and Maria de la Soledad or Nuestra Señora de la Soledad is a title for the Virgin Mary – Our Lady of Solitude. The title refers to Mary alone on Holy Saturday after the death of her son, Jesus. I’ve read that Queen Juana of Castile and Aragon became especially attached to Our Lady of Solitude after the death of her husband, Philip. That was the early 1500s. I can’t find references to the title that pre-date Queen Juana’s broken heart. And yet, I’m not sure the story holds up to scrutiny – though the title seems to have developed not long after the sixteenth century. Regardless, Maria de la Soledad is considered a Marian name. Contract the name and you’ll have Marisol. Marisol could have another origin. Spanish. Smoosh together mar y sol – sea and sun in Spanish – and you’d also arrive at this name. One reason to think that some of those Marisols are nature-inspired? Maria Sol is also found as a double name, and also smooshed to Marisol. Venezuelan sculptor Maria Sol Escobar became part of Andy Warhol’s circle, starring in two of his movies in the 1960s. She dropped her last name, and was known simply as Marisol. In recent decades, Marisol has become a given name in its own right, though it’s difficult to know how many Marias might have answered to Marisol over the years. Spanish singer and actress Maria Josefa Flores became a child star as Marisol in the 1960s. She seems to have boosted the name in the US. In 1953, there were just seven girls given the name in the US. By 1962, the name was in the US Top 1000 – and has remained there ever since. 1964 spaghetti Western A Fistful of Dollars starred a young Clint Eastwood as the Man with No Name, and German actress Marianne Koch as Marisol. In 1970, Marisol Malaret became the first woman from Puerto Rico to win Miss Universe. Fictional characters have appeared on The George Lopez Show, CSI:Miami, Devious Maids, and Orange is the New Black. The name was boosted by Mexican telenovela Marisol in 1996, when the name peaked at #234 in the US. Ten years later, Marisol Luna was the American Girl Doll of the Year in 2006. The name rose slightly, to #321. 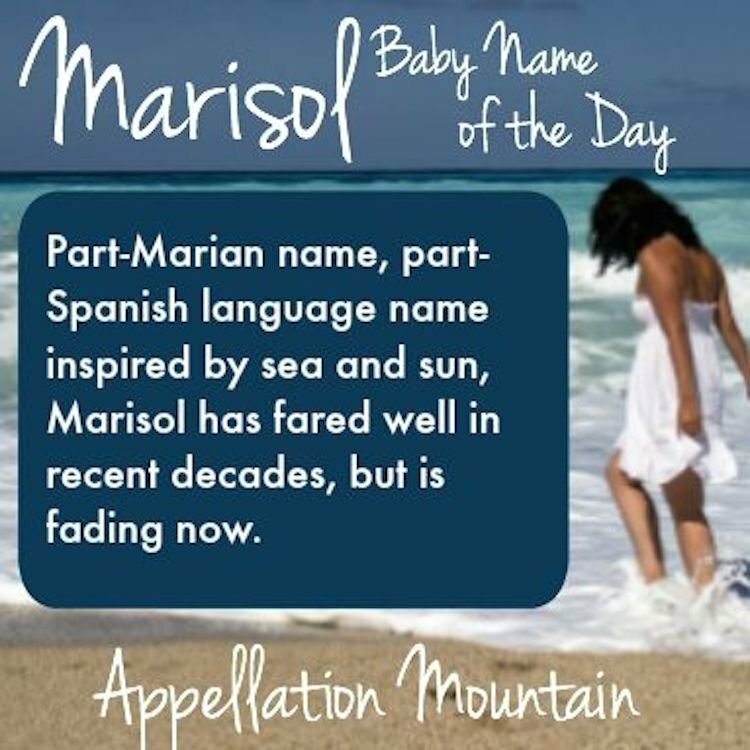 Marisol fits with so many current trends: it’s a tailored name for a girl, and certainly could be a nature name. Spanish-English crossovers, like Isabella, Sofia, and Mia, have fared well in recent years. And yet, Marisol seems to be fading. As of 2014, the name charted at a chilly #809, a drop of nearly 500 places since 2006. This fact leaves me uncertain. Is Marisol dated, the Spanish-language equivalent of naming your newborn Jennifer? Or is this the perfect moment to use Marisol as a crossover name – less frilly than Isabella, but every bit as Spanish. 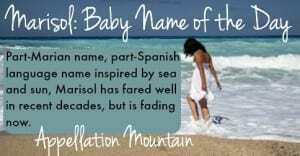 It’s a lovely name that hits many of the right notes, so Marisol could make a great, culture-spanning choice in 2015. What do you think of Marisol? Is this name headed for obscurity? I love this name (but then I also think it sounds like Parasol, LOL! ), and I’ve never met someone with the name. But then there isn’t a huge Spanish communiy in my area, so that may be why. Marisol is such a pretty name. 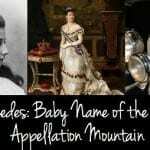 I think of it as a mom name that can still be used. I like the idea of a “mom name that can still be used” – good point! I went to school with several Marisols so it does read a bit dated to me, but it’s pretty and I think has always been uncommon enough that the wider culture wouldn’t perceive it the same way they do a highly saturated name like Jennifer. My parents considered naming me Marisol, but they thought people would pronounce it to rhyme with parasol and didn’t want that. So they went with sea and laughter instead. Sea and Laughter and the name they create are quite nice. I’ve only ever heard it pronounced like Parasol…what is the correct way? And by accent I mean to say stress or emphasis, not a written accent mark.